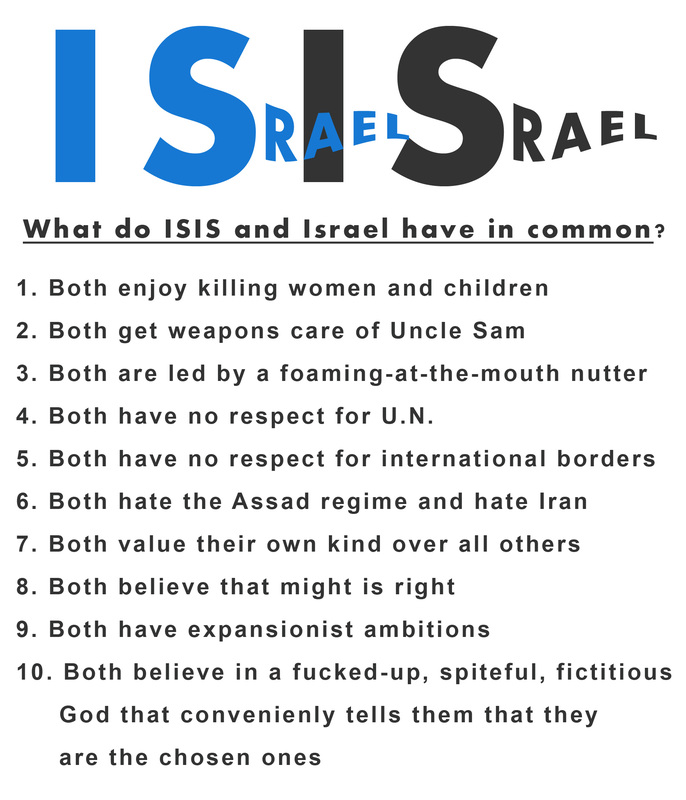 ISIS and Israel. What do ISIS and Israel have in common? Both have no respect for the U.N. This entry was posted on Tuesday, August 26th, 2014 at 2:31 am	and is filed under . You can follow any responses to this entry through the RSS 2.0 feed. Responses are currently closed, but you can trackback from your own site.